Portessie residents are calling for Moray Council to disband a shingle bank and sure up flood defences to prevent a repeat of a winter storm that washed them out exactly a year ago. On December 5 last year, maintenance work on a Scottish Water waste pipe on the beach front left a shingle path, which tidal waves used as a runway to devastate shoreline homes with over three feet of water. After 12 months, many home-owners affected still have not returned to normal life, and they fear similar damage from another storm unless the council act now. 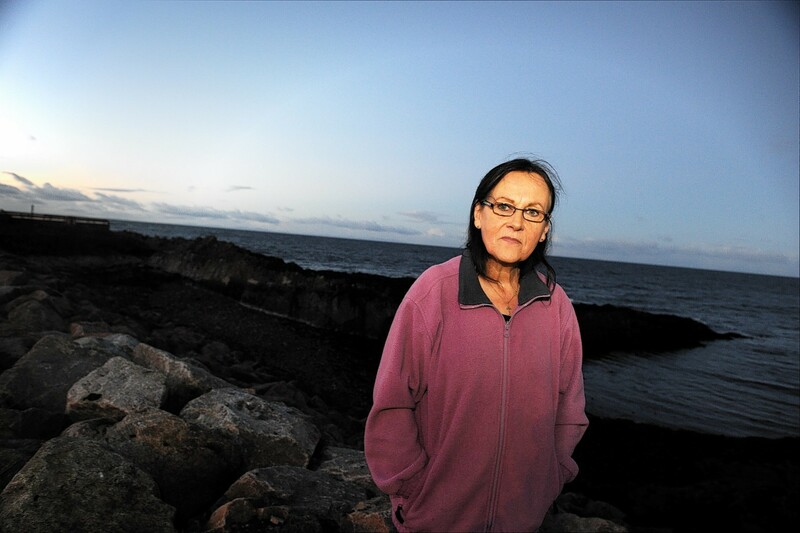 Roselin Humphries, of Rannas Place, moved to Portessie in July 2013 and could not return to her home until May after last December’s storm, which she says still haunts her.